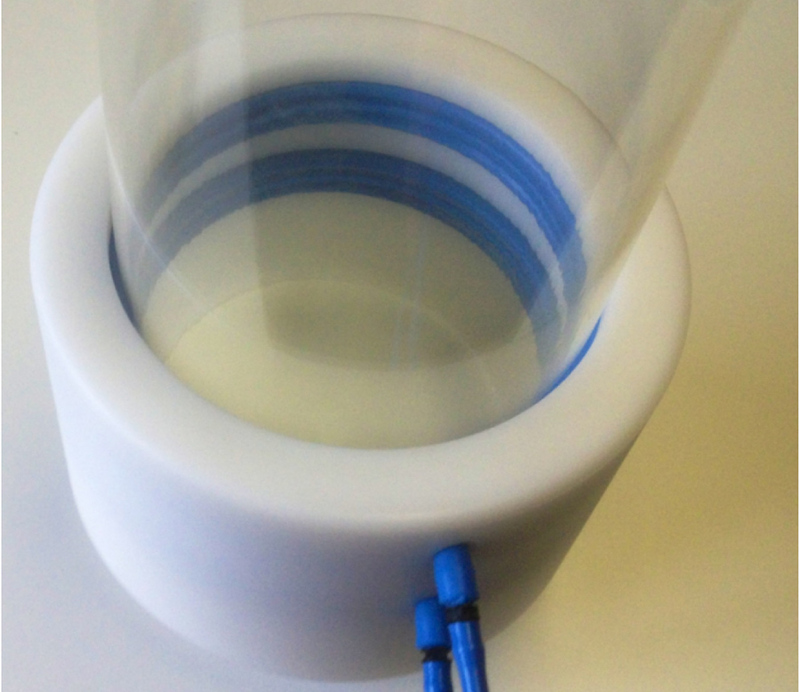 Sealing Projex Iso-Flate™ inflatable seals are manufactured in the UK and are designed to provide efficient hermetic sealing solutions providing protection against incursions by powders, granules, gases, liquids and dust. Generally working from within a specific groove size the seals can operate axially, and for both inward and outward radial movements. 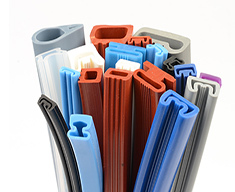 The most popular requirements are for FDA approved Silicone Elastomer in either Blue, White or Red iron oxide colours. Other Elastomers and Pigmentations are available for a wide variety of sealing applications. We carry a large number of “common profiles” on stock, this enables Sealing Projex to provide a very quick turnaround of inflatable seals when required. 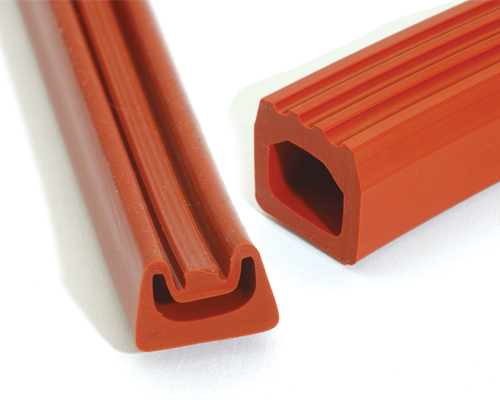 Our pneumatic seal joining method incorporates a high pressure Shot Moulding technique (Vulcanizing), this utilizes an identical compound injected at the joint to produce a high strength bond, resulting in a clean smooth line finish. No adhesives form part of the bond. 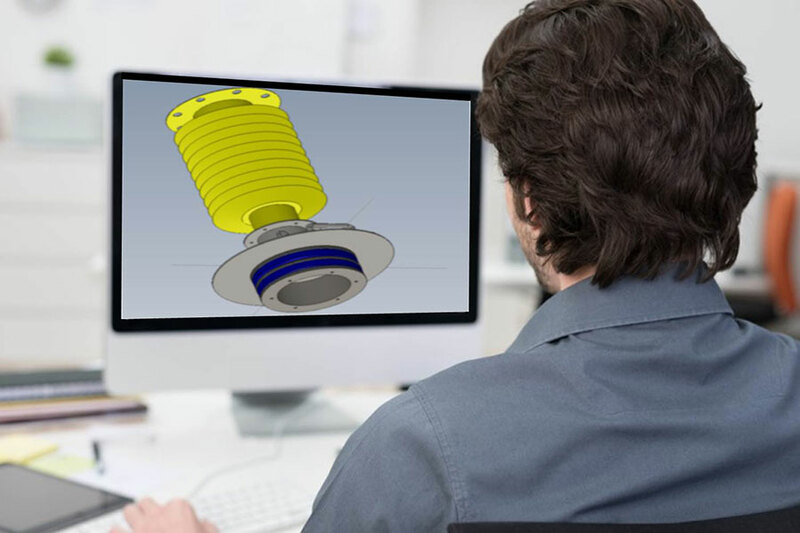 This process provides a High Integrity seal capable of performing under greater and higher pressures than most if not all other similar type of seals in the market. 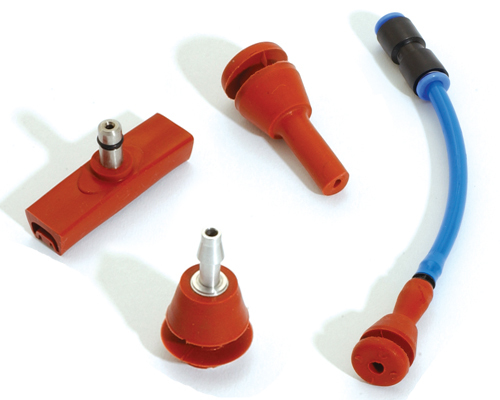 A ‘Shot Moulding’ technique is also used to bond most types of the available inflation connectors to the seals as required by the customer/application. This process bonds the connector to the seal by localized injection of identical compound vulcanizing the connector to the seal. The strength of Vulcanized Connector far exceeds any mechanical fixing or adhesive bonded connector, associated with this type of seal. All inflatable seals manufactured by Sealing Projex are independently pressure tested and supplied with a supporting ‘Test Certificate’. 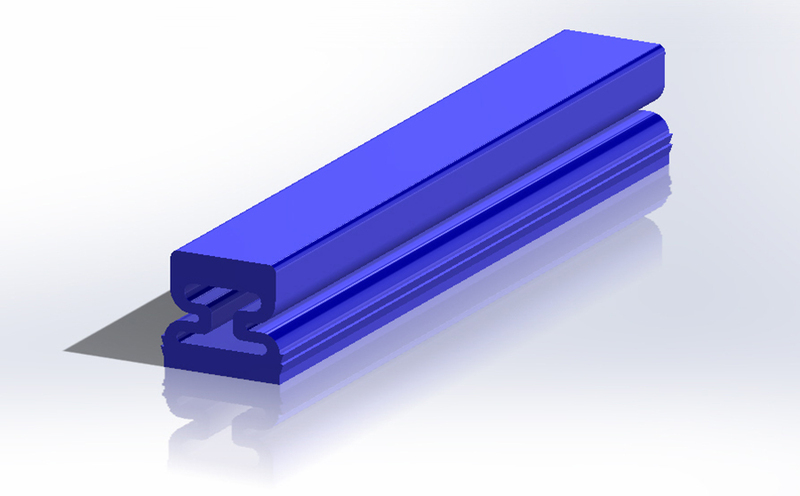 These tests on free standing, unsupported seals vary from 1 bar to 4 bar pressure, dependent on the profile type and/or customer specification. With the aid of purpose designed test rigs, which enclose the seal, our production techniques are tested and supported with proven case history. What is an inflatable seal? Inflatable seals are hollow (most commonly elastomeric) profiles which are sealed (either endless rings or straight lengths with blocked ends) in order to be air tight. 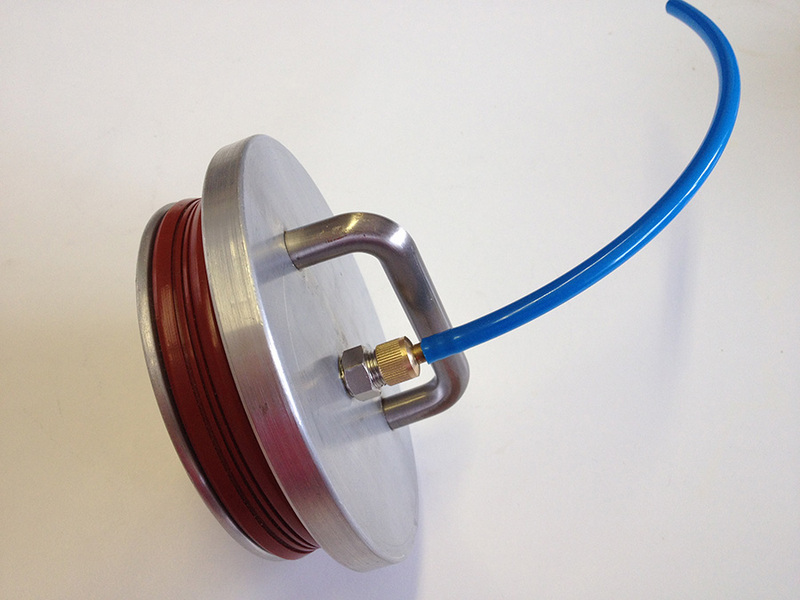 An inflation media inlet (eg hose or valve) must be present in order to allow pressurisation of the seal (most commonly with air but sometimes other media such as water) to enable it to inflate and apply a sealing force and “travel” of the moving side (or sides) of the seal onto the seal face . 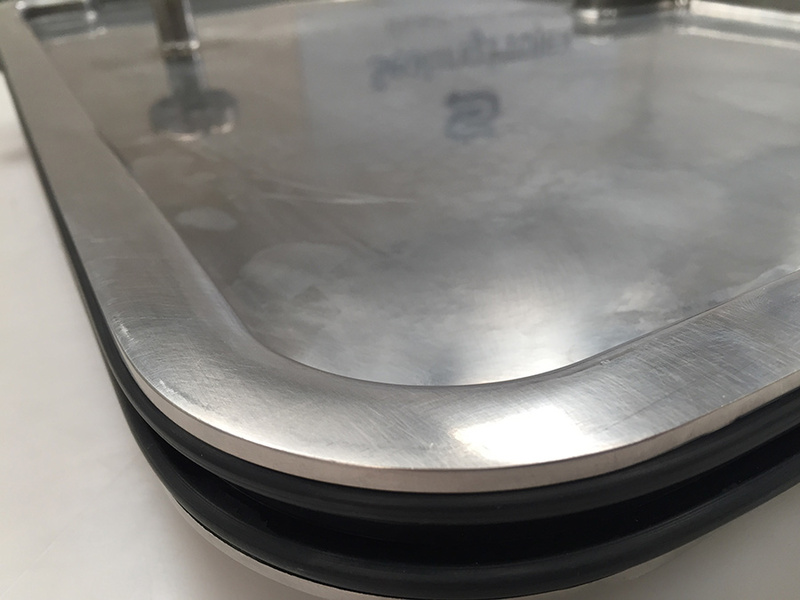 The main and most beneficial functions of inflatable seals are that they apply their own seal pressure, can cope with varying and large seal gaps, and make the process of sealing and unsealing much quicker in most cases, especially when dealing with surfaces that move in relation to one another. 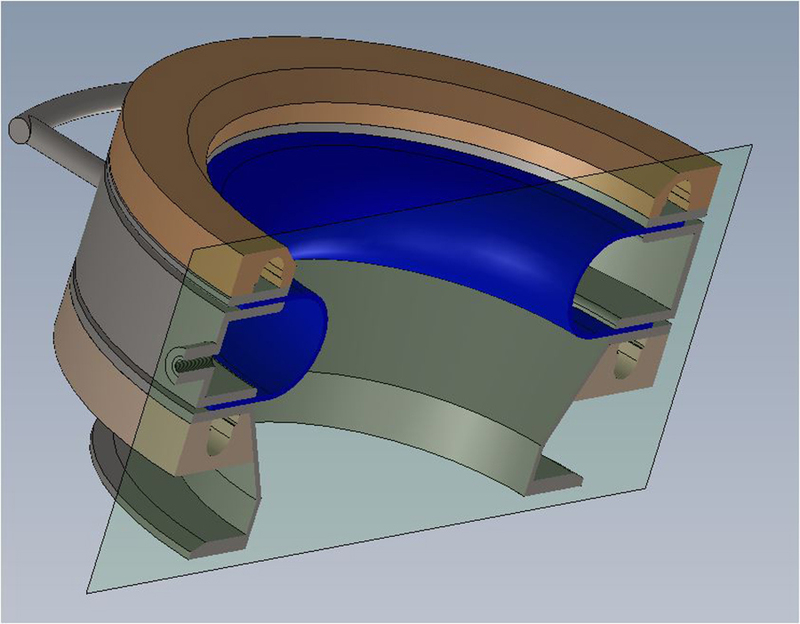 Conventional elastomer gaskets must be compressed with sufficient seating stress in order to achieve a seal meaning bolts (or other methods of applying pressure) are needed. 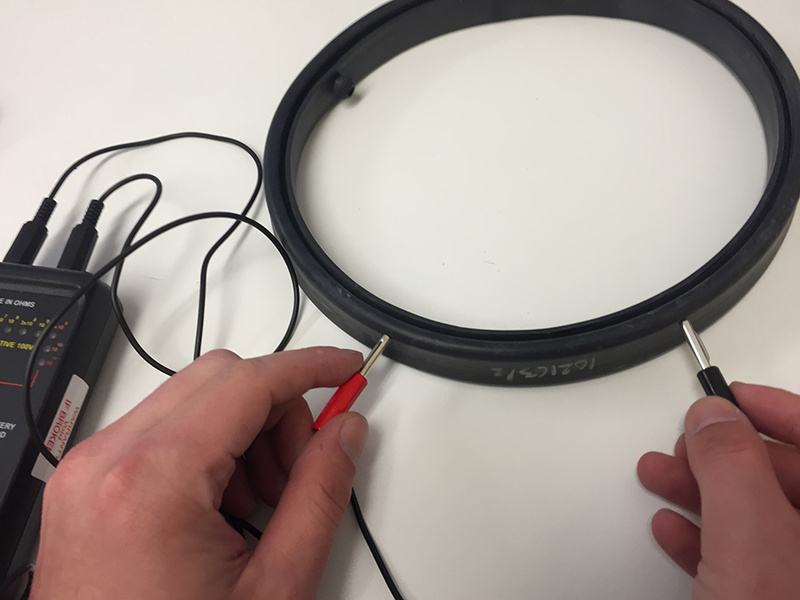 When dealing with sealing components and surfaces that move in relation to one another, having to re bolt a gasket or re clamp a seal can be time consuming; inflatable seals can seal and un seal in seconds. The image above is of an isolator door with an inflatable seal housed in its perimeter set to expand radially outward . 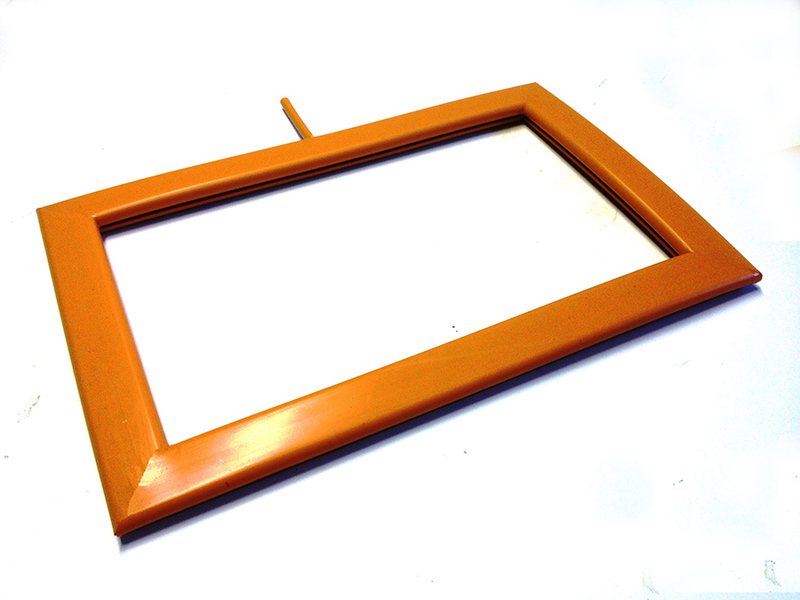 Because the shell of the unit is fabricated and not machined, the machined acrylic door will be made to a much tighter tolerance than the frame. This means there will be a varying seal gap (ie at the top of the door the distance from the seal to the seal face (frame) could be 4mm and the same distance at the bottom may be 6mm. If the inflatable seal profile used has a range of 10mm travel upon inflation, you will achieve a seal all around the perimeter. It would be extremely difficult to seal the perimeter of this door with a conventional compression seal. Another advantage in this application is that the inflatables ability to provide its own seal pressure assists in a high level of sealing necessary for high containment. Gaskets and other compression seals can be tricky and time consuming to seal correctly and can also lose recovery and suffer compression set over time. 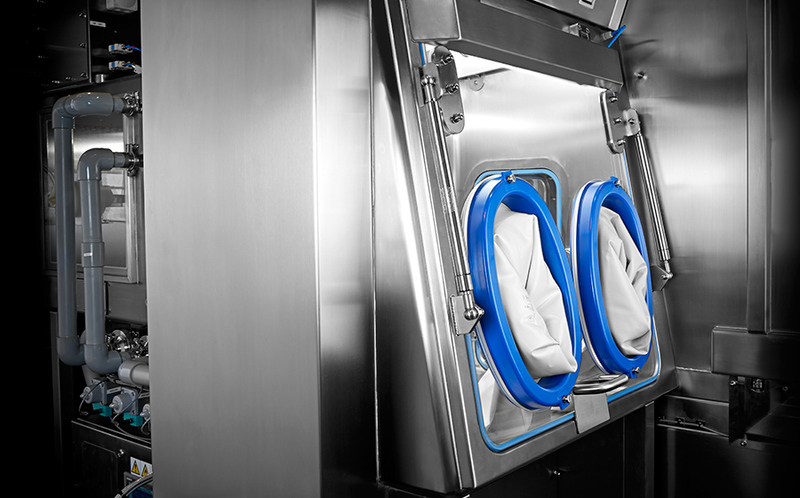 There is no cleaner, quicker or easier way to seal an isolator door from end users perspective. When a seal needs replacing the seal is simply removed from the door without the need for unbolting / unclamping. Down time is very expensive in Pharmaceutical production. In many industries (powder handling, food production for example) transportation of ingredients from production machinery to containers is required. For example imagine a powder ingredient leaving a machine and an operator waiting to collect it in a drum. The powder comes down a chute and the operator must line up the drum and seal it in order to keep contaminants out and minimise wastage. A sleeve or flexible connection can sometimes be clamped to the drum with a band clamp for example but this obviously takes time. 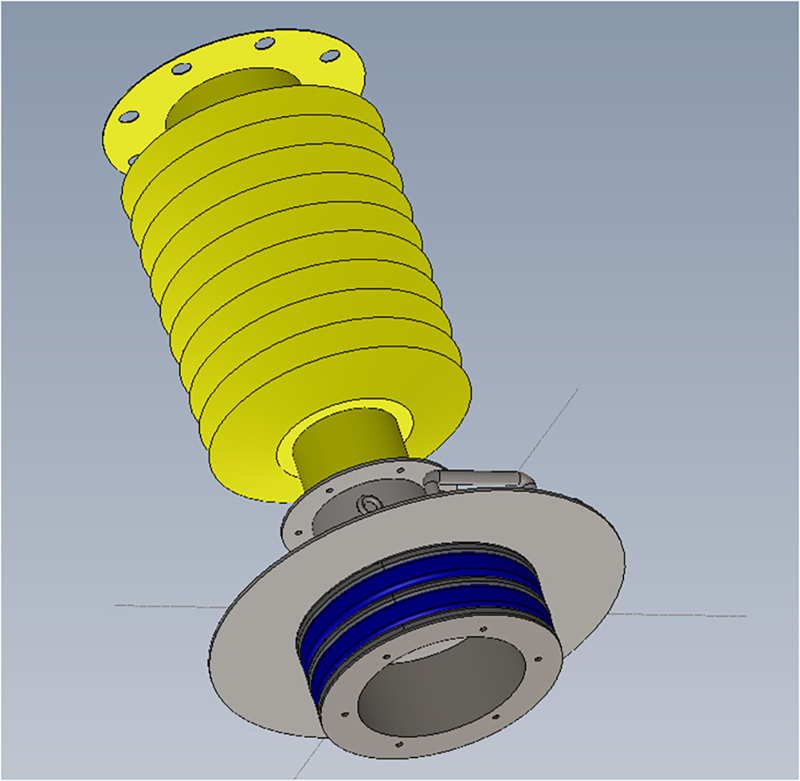 In the video linked above the benefits of the inflatable seal are thus: the seal housing can be made much smaller than the drum diameter to allow a large clearance. This means that the operator need not spend a long time lining up the drum and chute as there is a margin for human error. If the drum is misaligned, this will generate a varying seal gap around the edge of the chute, which isn’t an issue for inflatable seals. Again quick, clean and airtight interlocking of two components that can move in relation to one another. 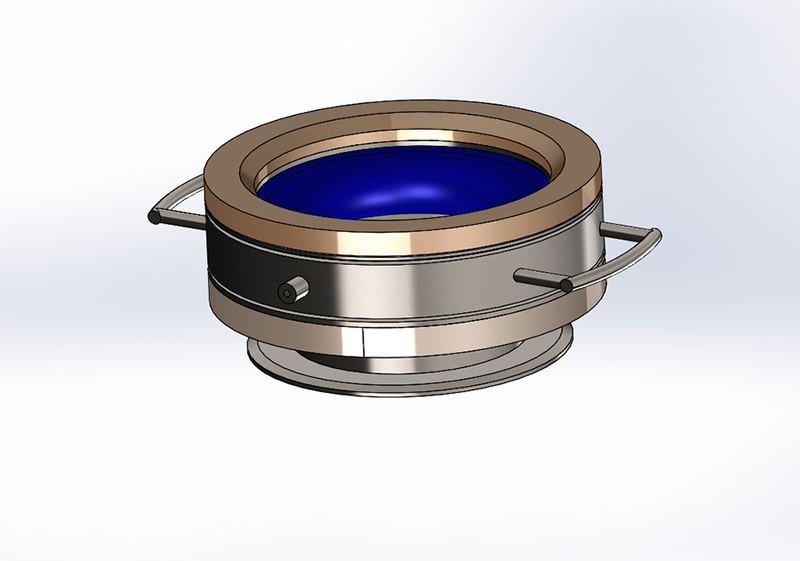 Seals can also be used to seal radially inward onto the outside of a drum, and are secure enough to act as a lifting mechanism also. 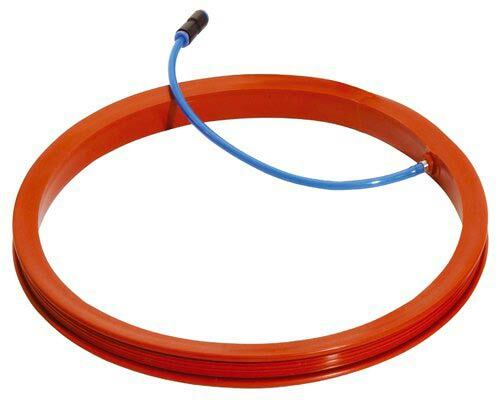 In summary an inflatable seal is a dynamic component capable of dealing with a far larger range of factors than a compression seal such as an o ring or gasket.